bluechip > Service > What is Cloud Computing and how it works? The advancement of technology and encompassing networks storage and its processing led to the epitome of computing. In our present technical era, the process is typically referred to as cloud computing or also cloud. Cloud computing is technical jargon, so it is difficult to understand the actual meaning of the phrase ‘Cloud Computing’. That’s why here we are providing a short description which will give you an understanding regarding Cloud based solutions and how it works? Cloud computing is a process that allows the users for network access to shared computing resources, a model for managing, storing and processing data online via the internet. Although, according to the processes, cloud computing can be arranged into three different service categories and which are mentioned below. All these three mentioned services are relevant in our present technical era. Day by day, the significance of this process is increasing. 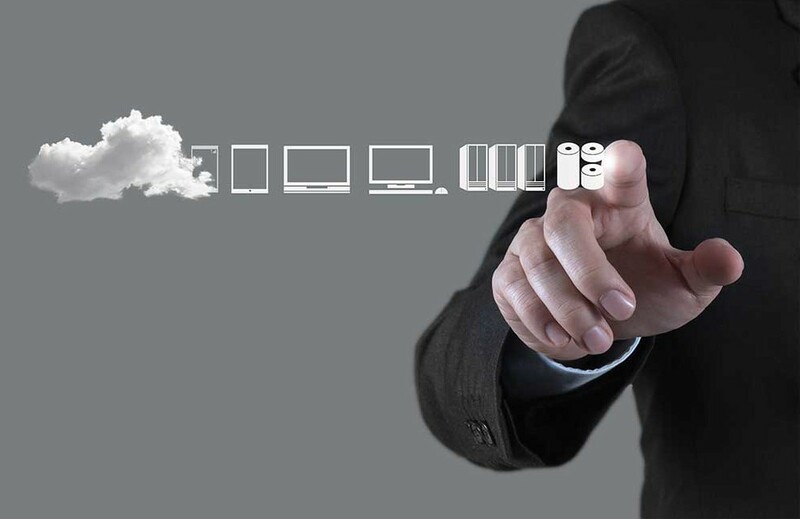 Cloud computing is a better way to run your business instead of using other apps. It will run on the basis of a given data center and you can plug in like your purpose. The cost of this process is less like Gmail compared to Microsoft exchange. According to other apps, cloud computing works in a different way. In this service, you don’t need a technical team service to keep it running, so before using one app please just runs in the cloud and modify it for use, and that is the biggest advantage of cloud computing. This will assist IT professionals, programmers, and developers in managing their works and resources and this will make their work easy and fast. • This can be used for making new apps and services. • This process will assist business organizations to store, recover and backup their data. • By using this you can deliver the required software as per the demand. • This will help to analyse data from different clouds. • This can be used also to develop and test applications. Today, each entrepreneur has ideas and objectives regarding his/her business, but to apply those ideas on business apps has been a little bit difficult process. So each and every enterprise uses this Cloud computing method to build or to build or maintain a computer resources and programms. Especially, today our business world is full of complexity, so they need a data center with a good office space power saving networks, servers, and storage. To achieve all these they need a software staff and a team of experts installs, configure and run them to meet development, testing, staging, and production. But when there’s a problem up you can call for technical support and they don’t know, but most of the times they are unable to fix it. That’s why we designed our cloud computing programme as a better solution to all your cloud environment problems. It will give a new value to your businesses and its services. Our Abu Dhabi service wing offers cloud services in enhancing the technical side of your company. Our Cloud based solution in Abu Dhabi will help you to bring your organization to a competitive level. Through this, you can enable all your business workloads to cloud applications and stay competitive in the market. Our Abu Dhabi services will provide you with an efficient cloud service and will provide a new impact on your business. For further information, go on to our contact page.